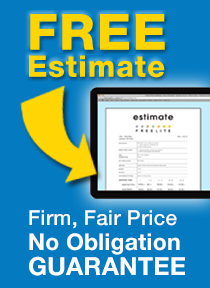 FAQS About Skylight Installation in Phoenix, AZ | Freelite Inc.
Do My Skylights Qualify For A Tax Credit? 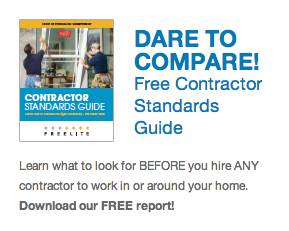 What Makes You Qualified To Install Skylights In My Home? Won’t a skylight make my house hotter in the summertime? Do you repair skylights too? What exactly is an atrium enclosure? Q: Do My Skylights Qualify For A Tax Credit? A: Yes, as long as they are VELUX skylights. VELUX Solar battery powered skylights and shades qualify as “Solar Energy Systems” and thus are eligible for federal tax credits equivalent to 30% of the material cost of a skylight project (for more information, go to http://www.energystar.gov/index.cfm?c=tax_credits.tx_index). Additionally, the state of Arizona recognizes all VELUX skylights as “Solar Daylighting Systems,” qualifying them for a state tax credit equivalent to 25% of the materials and labor of a skylight project (for more information, go to http://www.azsolarcenter.org/economics/tax-breaks/state-tax-statutes/arizona-state-residential-solar-tax-credit.html). Certain restrictions apply. Q: What Makes You Qualified To Install Skylights In My Home? 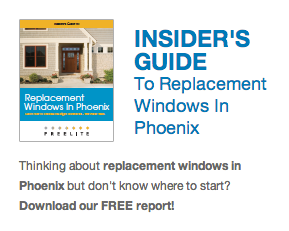 A: We’ve been installing skylights in Arizona since 1977. We understand the unique challenges of our climate — long periods hot, dry weather followed by torrential rains during monsoon season. And we’ve done tens of thousands of installations throughout the Valley. Because of our experience and training, VELUX, the industry leader in skylights, has awarded us status as a 5-Star Dealer, their highest designation. Q: Won’t a skylight make my house hotter in the summertime? A: While it’s true that wherever there’s light there’s heat, the right skylight, properly installed, can actually SAVE you energy. That’s because natural lighting is more efficient than artificial lighting — incandescent bulbs in particular generate a much higher ratio of heat to light than daylight does. So, if you have your lights on for a significant part of the day, adding a skylight can result in more efficient illumination (more light with less heat) and actually reduce your utility bill. Recent advancements in skylight technology such as Low E glass and shading devices add to the beneficial effects of daylighting. And don’t forget about ventilation. Skylights that open use the principle of convection to help exhaust heat from your house. Q: Do you repair skylights too? A: Yes. Whether you need a cracked acrylic dome replaced or are looking to upgrade to an energy-efficient VELUX glass skylight, we’re here to help. Many of our customers also opt to add a shading device to their skylight. And many of our products qualify for tax credits. Q: What exactly is an atrium enclosure? A: Enclosing your atrium means covering your roofline with a skylight system. An atrium enclosure protects the area below it from rain and dust, while still allowing the sun to shine through. This means plants can still receive the sunlight they would receive with an open atrium—but without the hassle of maintenance. In addition, atrium enclosures allow homeowners to remove doors and windows that separate the atrium from other rooms in the house, adding space and value to the home.